And EPA is right. Trying to come up with regulations to manage carbon dioxide (CO2) under the Clean Air Act is a complete waste of time. The Bush Administration knows this but politics being what it is inside the Beltway, don't expect any sense anytime soon from our politicians. The EPA adminstrator is punting on the issue by extending the comment period and will let the next administration deal with it. The Supreme Court told EPA in an April 2007 ruling that it had the authority to regulate carbon dioxide from automobiles under the Clean Air Act. Unfortunately, the only way to reduce CO2 from automobiles is to make them more efficient. [There is no technology you can put on the vehicle to 'scrub' CO2] Subsequent to the Supreme Court ruling, Congress passed fuel efficiency increases for autos up to 35 miles per gallon. Washington can be such a fascinating place. 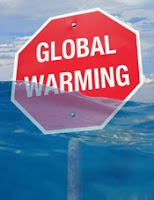 But we would rather see a market-oriented program for addressing global warming. EPA could still be the traffic cop the way it is for the Clean Air Act Acid Rain Program, but let the market get after this problem. We will need a cap-and-trade program for that to happen. Here is the rub: if EPA rules CO2 is a threat to public health and welfare, then EPA would have to regulate CO2 from all other sources too. Sections 108, 109 and 111 of the Clean Air Act deal with regulating stationary sources (buildings) and setting other standards that will be highly complicated and probably not good for the economy (or that will reduce global emissions significantly). Ironically, the administration's Methane-to-Markets and Asian Pacific Partnership programs are two very effective programs for addressing CO2. So is the Global Nuclear EnergyPartnership (GNEP).